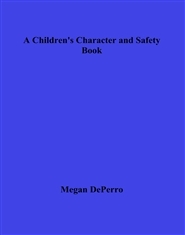 This interactive book allows your students or children to do crossword puzzles, matching games, and writing his or her own journal entries about safe and healthy living. 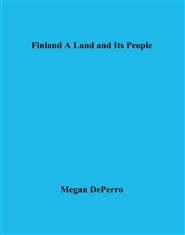 This book is to promote respect for self, others, and the environment. 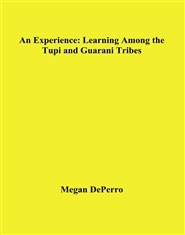 This is a tiny booklet on my experiences with the Tupi and Guarani peoples when I lived in Brazil, and what their cultures are like and what they endure. This book is for parents, teachers, and adolescent students who are mature and interested in spending a year living in another country. This book will put students' minds and parents' minds at ease by explaining why Rotary is one of the safest programs out there. 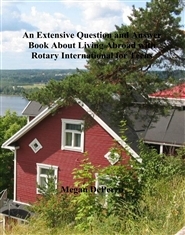 The author, myself, was an exchange student through Rotary International. It is my sincere hope that this book encourages and inspires teenagers to live abroad, and go beyond their cultural comforts. In this book I offer suggestions, some of them brand new, to reduce the high school dropout rate while increasing student productivity and community involvement. From 2007 through 2009 I worked with at risk children in an inner city school such as foster children and war refugees. Using dramatic play, the arts, and more they came to trust me and I came to learn my greatest teachers were little children.